Million Dollar View home offers unparalleled views, privacy and executive living! 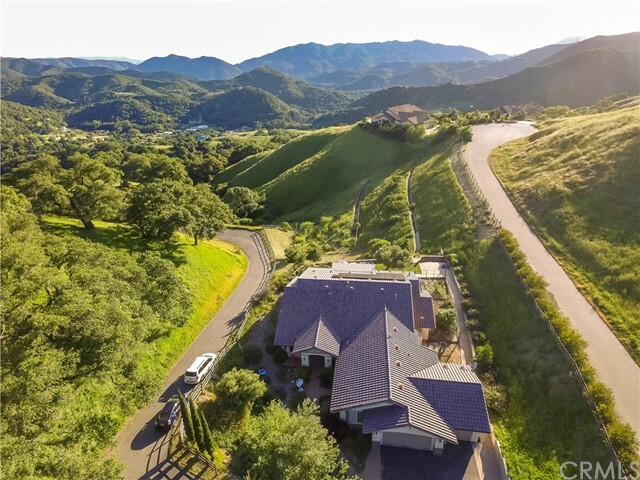 This Oak Ridge Estate home is at the top of the ridge with panoramic views of the surrounding valleys, Santa Lucia Ridge and the Pacific Ocean. Just 12 min. from the 101 and 25 min. to San Luis Obispo. This home offers a unique floor plan that offers comfort and tranquility. Whether you want to entertain or simply enjoy your piece of heaven, this home is the right home for you. The expansive custom kitchen is ideal even for the fussiest gourmet chef. Viking appliances, granite counter tops and a center island opening to a great room is what you expect in a luxury home. The master suite features private sanctuary with its own sitting area where you can warm up next to the fireplace. A large walk in closet and upscale bathroom complete the elegance of this room. Coastal influence offers a comfortable micro-climate, perfect for enjoying nature and mature landscaping. Do you like to entertain? This home offers patio living with views clear to the ocean, gorgeous sunsets and warm summer breezes. If you demand luxury, class and elegance. This home is for you.